Planning on taking the family from Dayton to Minnesota to catch “The Big Game” on February 4th? There’s no more super-safe or super-comfortable way for your entire group to travel than by minivan. So, what’s the very best 2018 minivan for families? It’s the 2018 Honda Odyssey, of course. Compare the Odyssey to its major rival, the Kia Sedona, and you’ll soon see why that statement is true. Check it out. Kelley Blue Book rated the new Sedona pretty well. To be fair, Kelley Blue Book reviewers really liked the Kia Sedona and rated it accordingly. But it’s fairly obvious that they liked the 2018 Honda Odyssey even more, which is why it rates so high (close to perfect, in fact). And here’s the clincher: KBB recently awarded the 2018 Honda Odyssey their coveted “Best Buy Award” for the minivan segment! Only the best of the best get that honor as the Kelley folks test a lot of vehicles before they make their final determination. We could stop here, but we want to be fair and give the Kia Sedona a chance to redeem itself, so we’ll check with another well-known auto review site to see what they think about each minivan. · 2018 Sedona – There were a few things that U.S. News and World Reports liked about the Sedona. They gave it high marks for its high-end interior, safety features, and its “punchy” V6 engine. They ranked it the 5th best minivan on the market today. Why the “average” score? Reviewers were less than impressed with the Kia Sedona’s noticeable lack of family-friendly features, poor fuel economy, and subpar cargo space. · 2018 Honda Odyssey – U.S. News and World Reports reviewers were especially impressed with the Odyssey’s “long list of family-friendly technology,” smooth handling, strong acceleration, and its “easy-to-use” infotainment system—among others. They ranked the Honda Odyssey as the #1 minivan on the market today. And even though U.S. News didn’t mention the Odyssey’s safety features as one of their “favorite things,” we feel compelled to mention that the 2018 Odyssey earned the NHTSA’s highest crash test score of five stars and an IIHS Top Safety Pick. So, pile the kids into the Odyssey for a road trip to the 2018 football bonanza in February, even though you’ll probably have to navigate traffic on your way to U.S. Bank Stadium in Minneapolis. It’s a small price to pay for an early Spring Break. We’ve got a confession to make: We knew the Odyssey would wipe the floor with the Sedona. 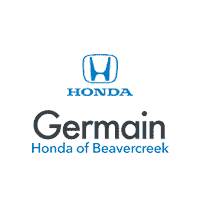 Not to toot our own horn, but here at Germain Honda of Beavercreek, we know a world-class vehicle when we see and feel it. And the 2018 Odyssey is the poster child for class, and then some. With tons of safety features, loads of room for people and their things, and more than enough style to revamp the van’s image, this minivan is any family’s surefire mode of transport. Care to check out our selection of new Honda Odyssey vans for sale near Dayton, OH? Call our Honda dealership sales team at (937) 426-9564 or visit us at 2300 Heller Dr. in Beavercreek to discuss your financing options, lease offers, and current Honda specials. After just one lap around Dayton or through Wright-Patterson AFB, you’ll wonder how a minivan could be such a blast to drive. Only with the Odyssey, friends. Only with the Odyssey.